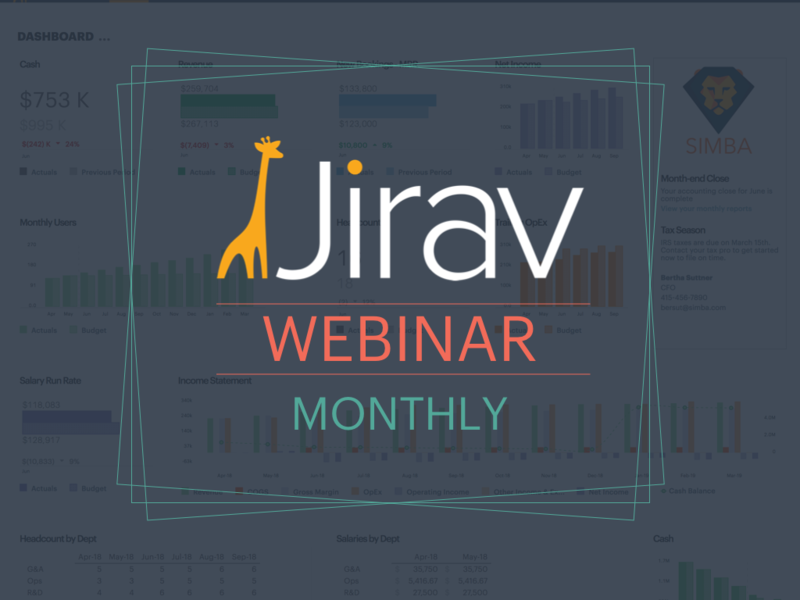 The Jirav team is excited to announce the start of a new monthly webinar series starting April 18th. We will cover the latest product updates that have been released for all our customers to simplify the financial reporting and planning process. The webinars will occur on the third Thursday of each month at 10am PST and go till 11am with thirty minutes provided for Q&A. Recordings will be made available as well.